14 Feb 2019 / 18:11 H.
PUTRAJAYA: The government has acknowledged that more proactive action is needed to fight digital piracy in the country, according to Communication and Multimedia Minister Gobind Singh Deo. 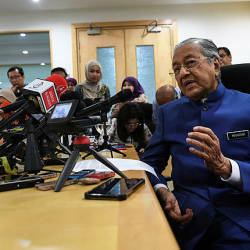 He said this was to ensure that Internet users and media consumers did not take the issue lightly as digital piracy had caused a huge blow to the Malaysian economy. Speaking at the Kuala Lumpur Digital Content Anti-Piracy Summit here, Gobind said Internet users in Malaysia downloaded a whopping 84 million content files comprising movies and TV shows from BitTorrent last year. 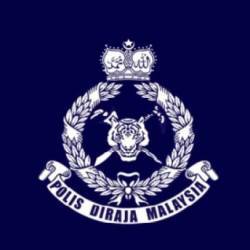 According to Irdeto, a digital platform security company, Malaysia recorded the second largest share of content piracy in Southeast Asia at 17% in 2016, he said. “Another study found that the number of visits to websites carrying pirated content is twice the number of visits to websites with legitimate content,” he added. 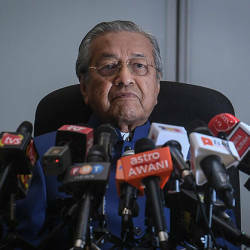 The minister said these illegal activities had caused the entertainment and media industry to have RM1.05 billion in loss of revenue and the government RM157 million in the loss of taxes along with 1,900 job losses. “Therefore, unless firm action is taken against the perpetrators, these figures are expected to grow on a yearly basis, and we are aware that the creative content industry players have been restless for a support system to strengthen their fight against digital piracy,” he said. 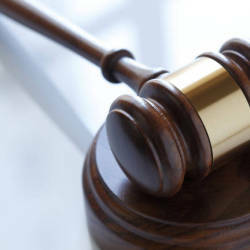 According to Gobind, intellectual property and copyrights were blatantly disregarded when the content was exploited and misused online without due credit to the creators. He said the issue had worsened considerably with the emergence of illicit streaming devices (ISD) in the market. “The Internet has further intensified content piracy where consumers can also be suppliers of content that do not belong to them, as in the case of peer-to-peer networks. “The motivation behind pirating is not necessarily for profit but to gain recognition in peer groups, or reciprocating free access to other users, or be rewarded with better services as heavy up-loaders,” the minister explained. Since the reproduction and delivery of pirated content costs little to nothing, the practice was sustainable and widespread, he said. Therefore, Gobind urged for collective support and involvement of relevant law enforcement agencies, industry players, Internet service providers and consumer associations to ensure sustainable and continuous efforts were being carried out to curb digital piracy. 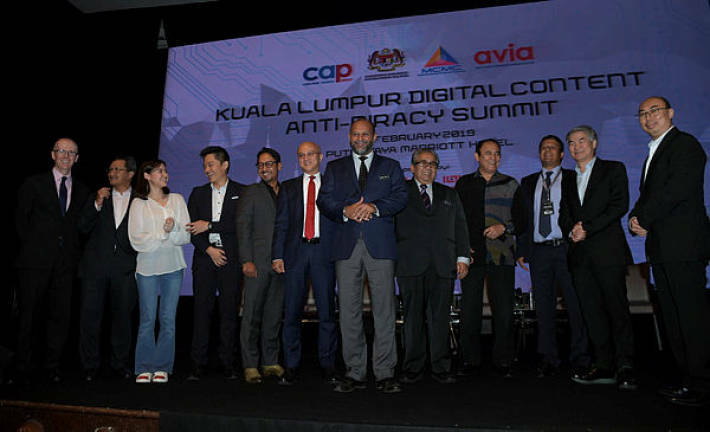 The one-day summit was organised by the Malaysian Communications and Multimedia Commission (MCMC) in collaboration with the Coalition Against Piracy (CAP) and the Asia Video Industry Association (AVIA). Some 1,000 local and international participants exchanged their views, best practices, and guidelines on how to curb digital piracy together at the summit.